For some reason, after months of silence, I seem to have things on my mind that I need to blog about again. My work and the self rightous callousness, hypocrisy and betrayal has been so depressing and consuming (those 80 hour weeks) that I haven't given myself time to be me. 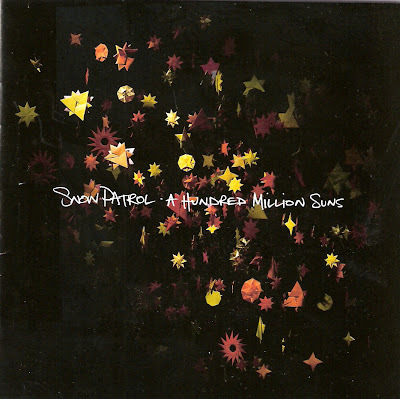 The new Snow Patrol Album came out and gave me something to listen to on the long drives to central PA. The music is wonderful and their lyrics, as usual, are poetry expressed in words that no contemporary American is literate enough to put together. I especially love the origami stars illustrating the album cover and the pages with the lyrics. They make me want to spend the next month making snowflakes for my whole Christmas Tree. It would certainly give me something lovely and creative to do in my hotel room. I'm sure you can find origami instructions online and could make snowflakes for the tree! Actually I spent an hour searching last night and it is harder than you might think. There are two that you find over and over again and none of the really interesting ones. Over Thanksgiving I might pick up a book.